Borsheims and Sinegal Estate Winery invite you to a luxury wine tasting in store Saturday, May 4th, during Berkshire Hathaway Shareholder Weekend. 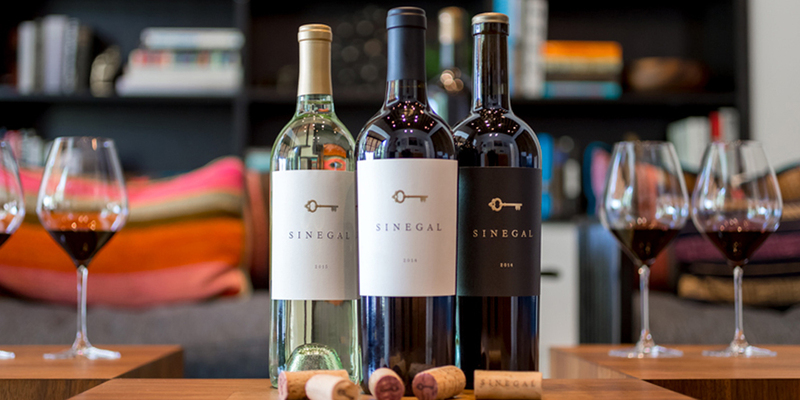 Hosted by vintner and owner David Sinegal, customers and shareholders can taste three exclusive wines from Sinegal Estate Winery in St. Helena, California and learn what makes them award-winning. The 2016 Cabernet Sauvignon exhibits brighter and fresher tones than its bigger brother, the Reserve Cabernet Sauvignon. Initially, aromas of bright redfruit pop out of the glass with notes of raspberry and cherry upfront, followed by hints of baking spice, leather and wet stone. A combination of light and dark tones on the palate delight all the senses. 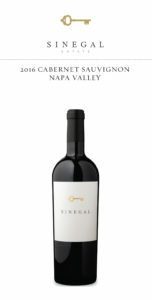 Subtle oak notes of cedar and vanilla lift and frame the core fruit flavors of plum, blackberry and black cherry. With polished tannins and a long and bright finish, this wine is meant to be enjoyed in the coming years but will age well over time. The 2017 Sauvignon Blanc is a stunning wine with enticing aromas of white rose, peach and honeydew melon. The elegant palate showcases bright citrus, stone fruits and honeysuckle, finishing with a kiss of new oak and bright acidity. Thirty majestic acres in the heart of Napa Valley – once a welcoming landmark for the Pony Express – is now home to the Sinegal Estate Winery. The philosophy of founders Jim & David Sinegal is to honor both tradition and innovation. They have fully restored the 1881 Victorian home and its companion guesthouse on the estate and are taking meticulous care farming the twenty-plus year-old vines they inherited when they purchased the historic property in 2013. And they have shown an equal commitment to making the best wine possible, integrating innovation and technology into winemaking practices; their state-of-the-art winery is replete with an optical sorter and custom-built automated fermentation tanks and their process involves no less than 1,403 footsteps from vine to bottle. Proprietor David Sinegal and Winemaker Ryan Knoth are both steadfast in producing wines approachable in their youth (yet fit to age) that capture the true spirit the magnificent estate. A Bordeaux varietal house at heart, Sinegal Estate produces an exquisite Cabernet Sauvignon, Reserve Cabernet Sauvignon, Sauvignon Blanc, and some of the best Cabernet Franc the Napa Valley has ever seen.